Farm Info: Miller Farms is located in the community of Delta, AL along the Ketchepedrakee Creek. Delta is located 24 miles south of Oxford, AL and 14 miles from Mt. Cheaha State Park, Alabama’s highest point. Our family has been farming this area since the early 1870’s. We feel that we produce some of the best beef you will ever eat. We greatly appreciate your interest in our meats. Feel free to call or email us for any questions that you may have. Our cattle are grown on our family farm in Delta, Alabama. • Raised using humane, sustainable farming practices • Free ranged on lush pastures during warmer months, and fed hay or pasture silage in colder months • All natural—no hormones, steroids or antibiotics • Never fed any corn, grain or animal byproducts • Never irradiated We offer our beef in quarter sections: Orders of 1/4, 1/2, 3/4, or a whole cow can be purchased and the final price is determined by total weight of meat. Farm Info: Located in Sierra Valley, California; we sell Belted Galloway/Angus cross, live animals. We can arrange for processing at USDA Wolf Pack Meats in Reno, Nevada. Farm Info: We raise certified Food Alliance, American Grassfed, and Animal Welfare Approved cattle for quality grass-fed beef in the San Francisco Bay area. At Leftcoast Grassfed™, we feel allowing our cattle to free forage on the natural grasses is best. Farm Info: We are a family owned and operated Organic, Grass-Fed cattle and hay ranch in the Scott Valley of Northern California. Farm Info: Richards Grassfed Beef is part of the “Ranch to Table” movement by discerning people who want to be more connected, to know where their food is raised or grown and to support local food providers. Part of Richards Land & Cattle Company, Richards Grassfed Beef is a family owned company that has been raising cattle for over 60 years. Richards Grassfed Beef provides high quality beef to wholesale and direct to retail customers. For our retail customers, we coordinate the transport, processing, cut & wrap and final pick up or delivery direct to your home. Our beef is processed in USDA inspected facilities in California and meticulously prepared by small-scale artisan butchers. Farm Info: .Our family goal is to sustainably and holistically produce the best and healthiest beef and to conscientiously strive to improve the well being and integrity of our animals and that of the environment where they are raised. We are a 5th generation ranch selling grassfed beef since 1999. Farm Info: Located one hour outside of Denver in Kiowa, Colorado, our farm raises and privately sells grass fed/grass finished beef. Our cattle is Angus and Angus cross with a finished carcass weight of approximately 600 pounds. We offer competitive pricing and quality meat. Farm Info: Colorado Front Range delivery and UPS. Farm Info: Grassfed Products: Beef Farm Info: B Bar S Ranch is a family owned ranch that produces 100% Grassfed Beef without hormones, steroids or antibiotics. We have been selling beef to customers the same way for over 30 years. We have always focused on holistic, low stress and humane ranching along with rotational grazing practices. Typically we harvest in September and work with a local Animal Welfare Approved (AWA) processing facility. This guarantees that our slaughter process is in keeping with our philosophy of appreciation and respect for our animals and humane treatment from birth through slaughter. We sell custom processed quarters, halves and wholes that are ready for you starting in September. We are a certified American Grassfed Association producer and committed to the way you want to live, eat and support local growers. We look forward to serving you! Farm Info: Located in Emma, Colorado; we specialize in raising Highland Cattle. We are a family owned ranch that produces 100% Grassfed Beef without hormones, steroids or antibiotics. We are Level 4 GAP certified, and committed to the humane treatment of our animals. Farm Info: Rafter W Ranch, LLC. Colorado Pastured Food: Healthy Land, Healthy Food, Healthy Families. www.rafterwranch.net We are a small family Ranch located in Simla, Colorado and serving Eastern Colorado. We currently raise pastured Angus beef steers with only what nature provides during spring, summer, and fall, and grass hay out on pasture during winter. No antibiotics, no hormones, no grain. Our goal is to rebuild the soil by Mob-grazing methods to sequester carbon back into the earth. We use low-stress handling techniques to ensure tender meat. To produce sweet meat, we move our animals during the growing season 1 to 2 times per day to fresh new grass. We also offer pastured eggs, when available, from the chickens we run behind the cattle. We offer WHOLE meat chickens raised on pasture along with organic non-GMO grain ( corn and soy free) and humanely processed on the ranch each summer and fall. We offer grass-fed/finished lamb in the spring. We have various pick-up locations along the front range or at the ranch. We are members of the Weston A Price Foundation (WAPF) and certified producers for the American Grassfed Association (AGA). Farm Info: We are located in the mountains of southern Colorado. Our cattle are raised on our ranch pastures and organic farm fields from late fall to late spring, then they pasture in the Rocky Mountains all summer into the fall. We raise all of our own cattle and strive to provide a free range environment for our livestock. We annually have up to 800 certified grass fed calves to sell. All of our cattle are a Black Angus cross. Farm Info: We produce 100% grass fed purebred Wagyu cattle as well as Mangalitsa and Berkshire pigs and free range heritage turkeys and chickens. Our mission is to raise the highest quality animals raised in the most natural way possible. Farm Info: Sampson Family Farm is just that....a family owned and operated farm. My husband Jeff and I are proud of the quality and standards we hold ourselves to in all aspects of farming and ranching. As cattle ranchers for over 30 years we have taken the best of knowledge acquired and use it to produce naturally grown, healthy livestock. Our farming practices guarantee that the cattle have plenty of room to roam, enjoying fresh air and clean water. We raise Black Angus cattle that are bred to produce a tender, tasteful meat. The beef cattle we offer to our clients are born and raised on our farm, tracked from birth to harvest to assure the freshest, cleanest product for your family. We do not use any harmful products such as steroids, hormones. With proper preventive care to our animals we can keep them naturally healthy. We offer whole, half and quarter steers through out the year. Farm Info: Our AGA certified 100% grass-fed Longhorn cows, pastured Red Wattle pigs, and pastured Dominique, Australorp and Silver Laced Wyandotte chickens are heritage breeds. All are slow-growing and celebrated for the flavor of their meat and eggs. We raise them organically, holistically, sustainably, humanely, and as close to nature as possible. Farm Info: White Oak Pastures, in Bluffton, Georgia, is a multi-generational farm that pasture-raises and hand-butchers 10 species of animals: grassfed beef, lamb and goat and pastured chickens, turkeys, ducks, geese, guineas, hogs and rabbits. The Harris family has been raising livestock on the same property for 150 years, and built an on-farm, zero-waste red meat processing abattoir in 2007. The poultry abattoir was completely in 2010. This helped build a strong closed loop production system: raising livestock, slaughtering, butchering and packaging on the farm. Today, we market our meats and poultry through grocery stores like Whole Foods and Publix, as well as to distributors like Sysco and US Foods. We also serve customers on a direct basis through our chef program and retail customers through our online store. Farm Info: Our 200 acre family farm operates 14 miles south of Athens. We raise antibiotic- and hormone-free, grass fed & finished, Black Angus cross beef. We cross Santa Gertrudis cows with a Hereford bull; their daughters ( healthy, gentle, good mothers) are bred to a Black Angus bull . Their calves are sold to you! Our Black Angus bull was DNA tested for tenderness, ribeye size and 10 other genetic traits. The live wt. cost is $2.00/lb. delivered for processing & aging at your cost to your specs., vacuum packed and frozen. We also have vacuum packed frozen individual state inspected retail cuts. The meat fits in a 14 cuft. chest freezer. A live wt. beef average yield is 50% edible product, consisting of 31% steaks, 31% roasts, 36% ground beef and 2% misc. Live wts. average 800-1000 lbs. and friends can divide a whole carcass . To insure product quality, only calves born, raised and finished on our farm are sold. Farm Info: Koinonia Farm is a 70-year old Christian Community near Americus, GA. Situated on 570 acres of God’s land in Sumter County, we raise 100% grassfed beef and pastured pork, sold locally by the cut, and pastured eggs, sold locally by the dozen. We are committed to sustainable agricultural practices, based on the belief that we are but stewards of God’s creation. No antibiotics, growth hormones, pesticides, de-wormers, or synthetic fertilizers are used in raising our animals. We use rotational grazing to ensure optimum health for our animals and the land. This also means delicious, nutrient-dense meat and eggs. Our native Pineywoods cattle eat only forage, supplemented with kelp meal for trace minerals. Our Mulefoot and Tamworth “heritage hogs” and our mixed flock of laying hens range freely, supplemented with grain. We are also a community of hospitality, welcoming visitors to learn about and share in our way of life. Please contact us to come and see the farm! Farm Info: Hunter Cattle Company believes in the healthy benefits of Grassfed Beef, Pastured Pork, Free-Range Chickens, and Free-Range Eggs. Our family owned and managed farm is committed to providing the healthiest, best tasting beef, pork, poultry, and eggs for your breakfast, lunch, and dinner plate. We raise and finish our cattle on grass, free to roam and graze. Our pigs are pastured, free to roam and root the way the were intended to. Our chickens get their nutrients from the fields making their meat tasty and the eggs richer than those bought at the grocery store. Our animals receive no added growth hormones, steroids, or antibiotics, and are not subject to feedlots or cages. Hunter Cattle is committed to the humane treatment of all the animals on our farm, ensuring their health and happiness at all times. We invite you to taste the difference! Farm Info: GRADY RANCH is a local fourth generational family farm located near Whigham, GA. GRADY RANCH produces all natural Grass-fed Angus Beef. Our mission is to provide the consumer with the highest quality agricultural product we are able to produce, while practicing natural and environmentally sustainable stewardship of the land in order to maintain it for future generations.Our Georgia grown cows are born, raised, and finished on GRADY RANCH. They have never been confined and are always pastured. No hormones or antibiotics have ever been given. Farm Info: Hunter Farms, Inc. was established in 1937 by Mollie and John Wesley Hunter, Sr. John and his family were able to transform fifty acres of land and a few farm animals into a 1000+ acre farming operation. During John Hunter Senior’s reign, Hunter Farms produced cotton, peanuts, corn, and various other row crops, but specialized in beef cattle. John Sr. worked closely with conservationists as a land steward to help maintain the integrity of his land. In 1956 he received the Georgia Merit Farmer awarded by the Macon Telegraph and News in conjunction with Fort Valley State College for excellence in farm management and soil conservation methods. He was also recognized by Ebony Magazine in 1972 for his accomplishments as an African American farmer. Hunter Farms, Inc. is now a multigenerational farm. Currently, John and Mollie’s children maintain Hunter Farms and hold administrative positions allowing them to keep the farm intact for decades despite economic shifts and changing times. Excellent animal husbandry skills have strengthened the vitality of the herd and elevated the farm’s animal welfare standards. Throughout the decades, Hunter Farms has been able to maintain a closed herd of cattle with genetics dating back to John and Mollie’s original herd. Farm Info: Farmers Creamery, makers of Kalona SuperNatural, is located in a small, thriving organic farming community in the heartland of America—Kalona, Iowa. We work with traditional Amish and Mennonite family dairy farms that milk average herd sizes of only 35-40 cows. Six days a week, milk from these local farms arrives at our creamery and is batch pasteurized at low temperatures so we can deliver your kefir in the most natural state possible. Our products are non-homogenized, so the cream rises to the top and separates, a sign of milk in its most natural state! One of the most unique aspects of Farmers Creamery is that it is truly grassroots. Unlike larger companies, we know each and every farmer we work with. We visit their land. We know their families. We are invested in the lives of our producers and, in turn, they are invested in the integrity of the products we send to market. Farm Info: We raise 100% grassfed beef on our 242 acre farm, where our herefords and red angus cattle eat only the grass and hay we raise without artificial fertilizers, pesticides or herbicides. Farm Info: Harvest Hills Farm was established in 2004 on 207 acres of land in Jo Daviess County, Illinois by Drs. Michael and Karen O'Mara. We expanded in 2011 by 48 adjacent acres to 255 acres! The newly added acreage has been cultivated and will be kept as a hay source for wintering our grass fed cattle and --soon to be added-- Katahdin sheep. It's planted in oats, clover, brome and orchard grasses. The farm is a perfect site for grazing cattle with its natural springs, creeks, and gently rolling hills. Our vision for the farm quickly developed to establish a free-range herd of Black Angus beef cattle, fully grass-fed and free from chemicals, antibiotics, hormones and unnatural processes. The Animal Welfare Association and American Grassfed Association were our great resources in developing procedures for raising livestock. We're committed to following their standards into the future. Farm Info: Dierks Farms was founded on the basis of Grass-fed beef even before the health benefits were brought to light. Today, we believe in Grass-Fed because it benefits our family, our animals, our customers and our environment. Our farming practices are centered around the humane treatment of our animals. Our animals are raised on stress free grass that is rotated on a regular basis both for the animals and the environment. Our family farm has a close relationship with the soil and water conservation service and has received Soil and Water Farm Family of the Year. This proves that our environmental farming spans all throughout our farming practices. Don't just take our word for it, try our meat and fresh produce for yourself. You'll love the taste and your body will love the healthy benefits. Remember: we're America's Grass Fed Beef. Farm Info: D Central Farms are located at different locations in McHenry County, Illinois. Our grass-fed beef operation is situated at over eighty-five acres of beautiful farm setting across thousands of acres of conservatory areas. Our operation is based on a commitment to a sustainable environment, providing high quality beef to consumers, and managing our cattle properly and according to their needs. Farm Info: Small family farm in Southern Illinois dedicated to growing food for people interested in health, quality, and taste. Our cows are raised with no hormones, antibiotics or other drugs, raised on pastures...never confined. We dry age 14 days, our processor is USDA inspected/ Organic certified, beef is available whole, side quarters and cuts. Farm Info: Our mission is to provide the highest quality 100% grassfed beef to our customers. All of our beef is certified grassfed by the American Grassfed Association. Certified grassfed beef is naturally lean, yet tender and flavorful, something only a truly natural product can provide. It has a firm texture and distinctively rich flavor you are sure to enjoy. We select only the finest calves for our grassfed program and nurture them in our Flint Hills pastures near Abilene and Topeka. These cattle never receive antibiotics or hormones and are finished on our native grasses. They are never fed grain or in a feedlot environment. We take orders for sides of certified grassfed beef year around with special pricing for cattle processed in the spring and fall of each year. We provide free delivery to the Kansas City metro, central and northeast Kansas areas. For information on pricing, delivery or other questions please contact us. Stay Slim-Be Healthy. Eat Grassfed Beef. Farm Info: We have three generations of Hills that work our Ranch, and we are passionate about producing the healthiest, safest and highest quality grassfed beef possible. Our Angus cattle are born, raised and finished on open grass pastures. Our management practices are centered on respect for the environment and respect for the cattle. Our cattle are raised for their high quality beef, and they receive a forage diet of native Kansas grasses as they freely move around our property. They are never held in confinement, fed grain, antibiotics or synthetic growth enhancers of any kind. This all ensures that our cattle lead a great life, and produce consistent beef that is tender and flavorful. Farm Info: Our mission at Foxhollow Farm is to create a thriving Biodynamic Farming Community. Visit us and experience hands-on workshops, reconnect with nature on our hiking trails through the woods, and see a working farm in action! Farm Info: At Ashbourne Farms, we run our farm the way you would if you were raising foods for your own family. We pasture graze our animals, free of antibiotics and hormones to ensure that the wholesome beef, pork and eggs you put on your table is the highest quality protein you can provide to your friends and family. Our farming practices reflect our respect for the land and the traditions that we hold true. Our commitment to sustainable agriculture and wildlife stewardship ensures that Ashbourne Farms respects the delicate balance of the land and those of us who inhabit it. We know that many of you share our values and appreciate the care we put into our products. Like you, we strive to satisfy your hunger for the things that matter. Farm Info: Gonsoulin Land and Catttle has been grazing cattle on the praires of South Louisiana since 1787. Farm Info: Our Promise: We provide products as pure and healthy to our customers, animals and the environment as possible. We cater to the consumer who wishes to provide themselves and nurture their family with high quality, untainted, locally grown, sustainably and humanely raised, nutritious, wholesome food and products. We have an overriding concern for the humane treatment of its animals while maintaining sound, ecologically responsible land and resource management. We participate in and contribute to the strength and pride of the local grass-fed beef & unadulterated food movement in Worcester County Massachusetts. Farm Info: Lovell Grass Fed Cattle Company offers true 100% grass fed Angus beef. Our herd is free range and they graze freely among our 330 acres of certified organic pastures. Our farmland has been certified by the State of Maryland since 1998. All of our animals are born and raised on our family farm. We practice Management Intensive Grazing on our 330 acres, which allows for successive grazing on smaller pastures. We provide certified organic minerals and fresh spring fed water troughs. We use no antibiotics, added hormones or steroids. We rotate frequently in order to promote better weight gain and a healthier environment. Grass fed beef offers many benefits including good fat, rich in Omega 3\\\\\\\\\\\\\\'s and high in CLA. We do business in a family restored historic log house on the property located in the beautiful rolling hills of Carroll County, Maryland. We welcome you to visit our farm, or you may place an order by phone or email. We sell by the whole or half. Please visit our website for more information: www.lovellgrassfedcattlecompany.com. Lovell Grass Fed Cattle Company, LLC., 232 South Springdale Road, New Windsor, Maryland 21776. (410) 635-6161. Farm Info: Pettit Pastures is a small family farm located near Milaca Minnesota. We are dedicated to raising all natural Grass-fed beef in a way that benifits the environment. We raise Lowline Angus cross cattle, we choose this breed for their size and ability to finish a quality beef on an all forage diet. 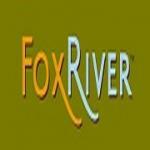 Farm Info: Central Minnesota location with weekly Metro area delivery. I believe in raising the bar of quality and consistency every generation. We LOVE our animals, and we LOVE selling direct to consumers. So the face you see when purchasing is the face who raises them! Farm Info: Thousand Hills Lifetime Grazed buys 100% Grassfed animals ready for processing in the Midwest and Northeast. We source from over 30 family farms in the regions. We have a wide range of grassfed beef products including fresh beef, boxed beef, sausages, hot dogs, tallow, bone broth, paleo chili, snack sticks, beef bars and jerky. All can be purchased at grazgrub.com. Farm Info: HD Beef Works is a family owned and operated business (since 1972), located just south of the Twin Cities metro area (off of I-35 and Highway 19) in Northfield, MN. Our farm is committed to bringing you the healthiest and finest quality 100% grass-fed beef in the area with all the benefits it can provide. Our grass-fed cattle are never given antibiotics or growth hormones. We do not use insecticides or commercial fertilizers. You will not find an assembly line when you visit our farm in Northfield, MN. Rather, the production of 100% grass-fed beef is a process that requires flexibility in order to deliver consistency. We use reliable methods of sustainable production, high quality genetics and pasture grazing. This method provides our cattle with a lower stress environment in order to produce the best tasting, most tender and nutritious meat. Our cattle are raised in a semi-wild state and have free range on our pastures. We feed and finish all of our beef on fresh-grown perennial natural grasses. We are small enough to intimately care for our land as well as large enough to raise herds of premium grass-fed beef. Our beef is harvested when the animals are ready. The beef is processed in a state inspected facility; it is dry-aged fourteen days, butchered into individual cuts, vacuum packed and frozen. Beef is available for purchase year round. When you purchase beef from HD Beef Works, you can select from smaller packages of traditional cuts or purchase a quarter or half and work directly with the processor to determine your cuts. Pick-up is encouraged (come visit the farm); delivery is available. See our website for additional information and pricing. Farm Info: Our cattle are born, raised and finished on open grass pastures in the rolling hills of southern Missouri. We practice a holistic approach to farm management which sustains and nourishes the environment through restoration and soil improvement techniques. Farm Info: We are operating a fourth generation farm located in beautiful Eagle Rock, MO. The farms ponds are spring fed from the clear, clean waters off Roaring River which runs through the farm. We harvest our own hay and use no grain, corn or any animal by products on the farm. The farm raises it's replacement heifers for breeding and replenishing the herd. Only bulls are purchased for breeding and we are currently using four Limo/Black Angus bulls. The farm is family ran and we all take great pride in our beef and have a deep rooted love for the land. No better conservator for the land than a landowner their selves. Farm Info: The primary focus of our business plan is to breed cattle, goats, and sheep that are raised without the negative impact of dietary starches. Doing so allows us to identify those individuals that will do well on 100% forage. In addition we believe that many diseases, especially parasites, have a strong genetic component. It is our goal to find, develop, and make those genetics available to others. Identifying those individuals and livestock families that have the genetics to thrive on forage, combined with genetic resistance to diseases and parasites are the foundation of our breeding programs. Farm Info: We are excited to offer to the consumer an alternative to conventional grocery store beef. We raise grassfed beef on our family farm. Visitors are welcome to visit our farm to see for themselves where their food comes from and to purchase our products. Farm Info: Along with our Grassfed beef, free range pork, & free range laying hens, we carry a large line of value added products. We offer all beef hot dogs, all pork hot dogs, bacon, pastrami, salami, kielbasa, andouille, country sausage and Italian sausage. Farm Info: Smithview Farm is a 275 acre farm located in the rolling hills of the Silk Hope community between Pittsboro and Siler City ,NC. Our Angus steers are raised on mothers milk and grass their entire life. They roam our open pastures and graze fescue grass almost year round. They only drink water from the well and never from a pond. The welfare of our animals is our highest priority. Please refer to our website www.smithviewfarm.com for details on our farm. Farm Info: Visit www.marshallbergfarm.com for more information. Farm Info: We raise Angus cattle, sheep, goats, and heritage turkeys on our ranch in southwest New Mexico. Our cattle, sheep and goats are never fed grains, treated with antibiotics, or given any hormones; our turkeys are grass pastured and fed certified organic feed. We use sheep, goats and hand pulling for weed control. We sell individually packaged cuts, sides and whole beef. Our products can be purchased online www.gilariverranch.com or by phoning 575-535-2664. We provide free delivery weekly to Silver City or orders can be picked up in Gila, NM by appointment. We sell packaged meats at the Farmers and Crafters Market on Saturdays and the Sunday’s Farmers Market at Tractor Supply on Picacho and Valley in Las Cruces, NM. Retail locations include Mountain View Market coop in Las Cruces and the Glenwood Trading Post in Glenwood, NM. The Little Toad Brewery & Distillery and The Green Turtle Noshery in Silver City, NM offer our beef and pork products on their menus. Farm Info: Ranney Ranch is a family-owned Angus beef cattle ranch in the high mesa country of central New Mexico in operation since 1968. We have been direct marketing Grass-fed/Grass-finished beef both locally and nationwide since 2003. We are certified by the American Grassfed Association (AGA) and Animal Welfare Approved (AWA). Our cattle graze year-round on native grasses on our open range pastures. We believe in regenerative grassland management and use rotational grazing practices. We gather our calves on horseback in the fall and are committed to the preservation of the western ranching tradition. Our calves get no grain, hormones or antibiotics; they are never confined to a feedlot. They are humanely handled at the Ranch and by local processors. Our customers are pleased by the taste and tenderness of our young beef. It is low in fat and cholesterol, high in the vitamins, CLA\\'s and omega fatty acids found in fully grass-fed/grass-finished beef. We offer half and full beeves for sale at our website, as well as individual cuts through Skarsgard Farms CSA. Our beef is dry-aged and packaged to customer specifications. A half beef yields approximately 120 lbs. and fits in a large cooler. Farm Info: Heydenrych farms is a 125 acre family farm located in Canajoharie, New York, 50 miles west of Albany and about 21 miles northeast of Cooperstown. We raise 100% grass fed and finished beef. We use no antibiotics or growth hormones. Farm Info: We raise NOFA-NY (USDA) Certified Organic, 100% grassfed, purebred Angus beef. We're proud to also be Animal Welfare Approved, and licensed by the American Grassfed Association. Farm Info: WELCOME TO MACK BROOK FARM. We raise grassfed Angus beef on 300 acres in the foothills of the Adirondacks. We produce a premium product with superior quality and taste. Because each animal is born and raised on our farm, we have 100% traceability. Farm Info: We are dedicated to providing the best quality organically raised meats possible. We take pride in knowing that our cattle are raised naturally. \\ NO\\ chemicals, \\ NO\\ hormones and \\ NO\\ antibiotics. \\ NO\\ Genetically Modified Feeds and never confined to a barn. Our grass fed beef is dry aged, USDA inspected and sold by the cut per pound. Specialty cuts can be ordered in advance. You may also buy 1/2 and whole Beef animals. All our calves are born and raised on our farm. Our cattle are fed all naturally, with mixed hay and assorted grasses grown on our own Certified Organic fields and pastures. They are never fed grain. They live in a stress free environment and are kept out in the fresh air environment and have free range from grass pastures to wooded areas. Our farm is located within 1 mile of the Lake Ontario shoreline, in the Orleans County town of Carlton, New York and has been family owned and operated by Robert VanWuyckhuyse and his wife CindyLou Lee since 1983. Farm Info: Family owned and operated, Full Moon Farm offers grass fed beef, pastured pork, lamb and free range chicken. Grazing and rooting on over 300 acres nestled beneath the Shawangunk Ridge in Gardiner, New York, our animals are raised in a low-stress environment the way nature intended, without the need for antibiotics or other drugs. Farm Info: Icelandic and Shetland Lamb, Angus and Hereford Beef. Farm Info: In the hills of Central New York are hundreds of acres of lush grasses, rich in minerals and maintained by our family using sustainable and organic practices. It is that same place in the Finger Lakes Region where we raise honeybees to help pollinate the pastures from which our Angus & Hereford Cattle graze. We dedicate ourselves to quality and we are happy to say we raise not only tasty, but healthy beef. Farm Info: Horodyski's White Barn Farm is a USDA Certified Organic Farm that produces Certified Organic Grassfed Beef as well as organic soybeans, corn, spelts, and hay. Farm Info: We are a family owned farm located in Hillsboro, Ohio on 300 acres of gently rolling land. We have several natural springs to provide our cattle clean drinking water throughout the year. They stay outside on pasture year around and are supplemented with hay during the winter. We have Black Angus and Angus/Hereford cross cattle. They are raised from birth to slaughter on our farm. We practice rotational grazing during the growing season. Conservation of soil, clean air, and water quality within our watershed is a top priority. We are also interested in preservation of farm land and currently applying for an agricultural easement so that our land will remain agricultural in perpetuity. Farm Info: Symmes Creek Ranch is a family owned farm in beautiful Gallia County Ohio about 10 miles from the original Bob Evans Farms in Rio Grande Ohio. The 250 acre ranch is divided into 3 main pastures with rolling hills and trees. Cattle drink from natural springs that are found all over our farm. The ranch is bordered by 76 mile clean, clear Symmes Creek and Wayne National Forest. Our 100% Black Angus cows have calves in the spring, summer, and fall, in open pastures naturally and without human intervention. Our cattle are never confined, and never injected with antibiotics or growth hormones. Farm Info: Dallas Market: Urban Acres Farmstead, www.urbanacresfarmstead.com Retail Store: Whole Foods Southwest Region Stores, www.wholefoodsmarket.com, Beef Delivery: Dallas ( North Oak Cliff) several times a year, reservations for Mixed Quarters, Halves & Wholes can be made at http://nnbeef.com/order Contact lauren@nnbeef for additional options. Farm Info: Field's Grassfed Beef is located near the headwaters of the John Day River at the foot of beautiful Strawberry Mountain. Our breeding program, which includes the unique Piedmontese, allows us to produce a superior product. Our beef has excellent palatability, is high in protein and very low in cholesterol. We also have a line of processed beef including jerky, salami, and pepperoni. Farm Info: Dragonfly Orrganics is a family owned and operated cattle farm in Upstate SC. We raise 100% grass fed cattle free of antibiotics and hormones. Our cattle are raised and finished on 100% grass utilizing a rotational grazing system on open pastures. We do not use herbicides, pesticides or fertilizers on our pastures. Our beef is processed locally in a state inspected facility and dry aged for quality. All our beef is vacuum-sealed and labeled by the cut. Farm Info: Our lambs are Dorper hair sheep. The beef are a heritage breed of Dexters. 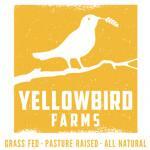 Farm Info: Yellowbird Farms is a sustainable, 100% grass-Fed, family owned farm located in Middle Tennessee. The farm is bordered by the beautiful Collins River and is located in one of the most ideal grass and forage growing climates in the country. Our land is refuge for diverse plant and wildlife communities; we protect these natural resources by responsible stewardship, careful planning and partnering with the Natural Resources Conservation Services agency. Yellowbird Farms is committed to providing the finest, artisanal meats that are healthy, nutritious and delicious. Great care is given to ensure that all of our production practices are environmentally sustainable and ethical. Our animals are given lush pastures and spend their lives grazing and foraging as they would in nature. Humane treatment results in low stress levels and optimal health eliminating the need for antibiotics and growth hormones. Farm Info: ML Farms Texas is a sixth generation farming and ranching operation located in the northwest hill country of Texas in Mason, Menard and McCulloch counties. We raise Grassfed beef, lamb, goat, and pastured pork. Farm Info: Heavy Dry Aged Grassfed beef is available from British White and Akaushi cattle on 1000 acres. Order through the website, LazyATexas.com. We can ship throughout Texas and offer some cuts, sixteenths, eights, quarters, halves, or whole. Pickup is available at the ranch or at Saint Nicholas School in Houston. Our calves are born, raised, and finished here on pasture, hay, and alfalfa. Holistic Management practices are followed and we use organic fertilizer. We have some Akaushi steers for sale. We have British White bulls, cows, heifers, and steers for sale. Farm Info: Our farm began in 2010 at the northern end of the Hill Country near Llano, Tx. This is home to very happy animals. We are certified American Grassfed for our Devon beef and our predominantly Dorper sheep. We also have pastured Large Black Hogs. Farm Info: Koch Ranches is a family owned business of 5th, 6th, & 7th generation ranchers. It consists of over 4400 acres, many that are irrigated year-around to provide lush, fresh green grass for our all natural, grassfed animals raised as Mother Nature intended. Farm Info: THunderheart Bison is the First Certified Grassfed Bison Producer in the U.S. We also make leather goods from 100% bison and native nectar honey. Farm Info: Madroño Ranch, in Medina, Texas, is both a working ranch and farm providing healthy food to local consumers and a residential center for environmental writers and artists. We sell our bison meat wholesale only. Farm Info: Family owned farm & ranch for 5 generations raising local certified grass fed beef that is animal welfare approved. Farm Info: We are a 6th generation family operation located 30 miles southeast of Austin. We produce food that is honest-no shortcuts, fillers or additives. We never use hormones or antibiotics. Our cattle freely roam and graze on what God has provided. Grass fed means it takes nearly twice as long to produce our Watterson beef, but we believe that quality matters-in the happiness of our animals, in our impact to the land and the world, and in the food that you consume. It matters. Farm Info: BSAK Ranch, 100% Grass-Fed Beef is a cow/calf operation located on the edge of the Texas Hill Country in Rochelle, TX. We strive for the best quality beef in our market providing our clients with pastured raised, 100% grass-fed beef. Our cattle receive NO Added Hormones, Antibiotics or Grains. We raise all our cattle on our ranch and provide quality grazing on our native and improved pasture. Contact us for how we can better serve you and your family! We look forward to partnering with you in providing the upmost quality in grass-fed beef. Farm Info: Amy + Shaun Jones provide registered Gulf Coast sheep and delicious, forage-raised lamb by the cut as well as eggs from pasture raised, heritage breed hens. 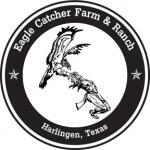 Farm Info: Eagle Catcher Farm & Ranch raises certified grassfed beef in Harlingen, in the lower Rio Grande Valley of Texas. Our goal is to supply delicious and healthy Angus-Brahman naturally grown beef, to our customers. We are certified with American Grassfed Association & Animal Welfare Approved. Although, we are not yet certified organic, that is our goal. We practice sustainable farming techniques & our animals have no exposure to growth stimulating hormones or antibiotics. Our small closed herd is maintained on 34 acres of grassland with no supplemental feeding except hay(alfalfa & Bermuda). Our herd thrives on low stress compassionate care. Our objective is to provide healthy, tasty, naturally tender beef, free of man-made chemicals and substances not of natural origin. Angus-Brahman beef, home grown, dry aged, vacuum packaged, from our freezer, sold directly to the customer. Farm Info: We raise Grassfed Texas Longhorn cattle, pastured lamb and we sell eggs from free roaming hens. We also harvest our feral hogs and offer free range pork for sale. We deliver to the Austin and San Antonio areas and during cold months ship small orders within the UPS one day Ground Service area. Farm Info: Harral Livestock Company has been in operation for 173 years. The enterprise began in 1840 and has proudly been taken over by each generation. We operate today as we did back then, and pride ourselves on a quality, wholesome product, and reliable and sustainable business practices. Harral Livestock Company raises all natural, grass-fed Angus, Limousin, and Corriente Cattle without the use of antibiotics or hormones. At Harral Livestock Company we believe nature has a way of knowing the right way, and that is how we base our operation, in the most natural way possible. We respect the land and the animals in our care, and believe treating the animals with dignity allows them to exhibit their natural tendency which yields the most sustainable, healthful product. Farm Info: At the “RLC” (Ross Land & Cattle) we raise our grassfed all natural free range “Artisan Prime Beef” , so we can have healthier better tasting steaks on our table and enjoy a safer and healthier way to preserve and protect our kids and our land. Our Definition of an “Artisan” - One who creates a master piece through passion while remaining in harmony and balance with Mother Nature. We are also members of the Grassfed Livestock Alliance and raise our beef to GAP & AGA standards . Ranching the same little piece of Texas since 1860. Farm Info: Holy Cow Beef is proud to run our cattle on pesticide and herbicide free grasses. Our grassfed cattle are free from added hormones and antibiotics. We practice low stress animal husbandry that produces flavorful, wholesome beef you feel confident and good about serving your family and friends. Our ranching practices reflect our respect for the land and the traditions that we believe in. Our commitment to sustainable agriculture is a passion we share with our customers and other like minded ranchers. We know that many of you share our values and appreciate the care we put into our cattle. We, like these other AGA members, strive to make a difference for the things that matter. Farm Info: Hickory Lake Beef is focused on providing high-quality grass fed beef and grass finished beef in San Antonio, TX and surrounding areas. Our beef is fresh and delicious and our customers are very satisfied. We never use any hormones, growth steroids, antibiotics or pesticides and our cattle are never fed any grains. We value customer satisfaction and we will do everything we can to meet your expectations. Farm Info: The Austin Ranch is a family run cow-calf operation that maintains a herd of American born and raised Red Angus Cattle in a very caring environment using low stress cattle handling methods including two stage or natural weaning that basically eliminates stress for the cow and calf at this pivotal time. Our cows graze along the river in wooded pastures and open tree lined meadows with their calves right alongside as nature intended. We raise our own replacements here at the Ranch, without Antibiotics or added Hormones. We believe quality genetics, low stress cattle handling and loving what we do play a major role in raising quality healthy cattle. Texas born and raised Red Angus Beef! Farm Info: With Chisholm Trail, you get beef that's leaner than regular beef, pork and even most cuts of chicken and turkey. Also, Chisholm Trail has up to 430% more healthy Omega 3 acids than regular, grain-fed beef, more vitamin B6 than 6.5 cups of raw spinach and high levels of protein, iron, zinc,phosphorus, niacin, riboflavin and vitamin B12. The simple fact is, with Chisholm Trail, you get a leaner, healthier cut of meat from a source you can trust. Raising grass-fed cattle comes natural to us. Farm Info: We produce 1 Steer™ and 1 Cow™ 100% Grass Fed Beef, that has been proven in independent lab studies to be 100% cleaner than industry standards. Every pack features a Nurture Tracker® code tracing nurturing history birth to harvest. No other meat in the world goes to this length to provide the cleanest most transparent “Unmatched Clean Taste™” That is why we were awarded the NEXTY Award® from the Natural Products Expo and named, A Superstar in Radical Transparency, by the Clean Eating Magazine. Our product is sold in grocery stores and through food service companies. Farm Info: Circle H Angus Ranch has been owned and operated by the Harrison family for over 25 years. Located in Gonzales County, Texas, Circle H exclusively raises Black Angus Cattle using only humane ranching practices. The 100% grassfed beef offered to you is certified by the American Grassfed Association, which promises that our product is raised only in open pastures without the use of growth hormones and anti-biotics. Farm Info: As fourth generation cattle ranchers, the industry is deeply rooted in our blood and we have a deep love and passion for raising cattle. When we set out to do it on our own, we researched and educated ourselves to make sure we did it the right way -- the healthy way and the responsible way for both our customers and our cattle. That is just the beginning of our story. We are Ben and Jessica Rumbaugh from El Campo, TX, and we are proud American Grassfed Association Certified ranchers dedicated to bringing you the healthiest and best quality custom order grass fed beef. Farm Info: Established in 1994, Cameron Family Farm, located in the ‘Painted Hills’ of Bosque County, Texas is perfectly situated to fill the growing demand for grass finished beef. Whether you are a beef lover interested in exploring the unique flavors of craft beef or a market or restaurant wanting to offer the best in the farm to table experience, we can satisfy the most discerning palate. Farm Info: Grassfed natural beef produced humanely from a closed Angus-Devon-Hereford herd using sustainable farming practices. We use only natural manures and soil amendments, no chemical fertilizers or herbicides to keep our diverse pastures lush. Farm Info: Riverstone Organic Farm sits along the headwaters of the Little River and is home to a growing flock of Katahdin sheep raised for meat. We practice management intensive grazing to keep the sheep in optimum health and to maintain the vitality of our soils and pastures for the next generation. This means we rotate the flock to a fresh patch of grass each day to mimic the natural migration patterns of ruminants and to allow grazed paddocks the longest possible regrowth time before getting munched again. We see a direct connection between the health of our soil, the health of our sheep and the quality and richness of the lamb we produce. Farm Info: Our beef is better for you, better for the environment and better for the animals under our care. We carry three goals in whatever decisions we make: To produce food that is natural, safe, nourishing and delicious. To respect and honor the creatures under our care. To heal and enrich the lands we graze. Farm Info: Shire Beef is located in Central Vermont at 1800' of elevation with views of the Presidential Range. Our mixed herd of about 30 head of Red Angus/Hereford and Pinzgauer (this breed comes from the Austrian alps and goes back to Celtic times)genetics is grazed for 8 or 9 months of the year on around 100 ac depending on the amount of snow we have. During that time the cows are moved to new pastures every 24 -48 hours. We work with high stocking densities in order to improve the land under our stewardship. The calves will stay with their mothers until they are weaned naturally by their mothers. In winter we feed hay and grass form bales. The meat from our cattle is tender and delicious, full of the right balance of omega-3 and omega-6 fatty acids. We offer meat locker services to customers and can ship our product although we prefer to encourage customers to buy from farms local to them. We also offer pre-buy and bulk discounts. Farm Info: K-T Cattle Company humanely raises exceptional grass based livestock, for farm and for table, in the lush Snowqualmie River Valley. We are a direct marketing farm serving the greater Puget Sound Community dedicated to heritage miniature cattle with superior disposition, taste, and nutrition. Farm Info: We breed and raise our own cattle on Organic (MOSA) certified organic pasture and hay produced on the farm. Our cattle are on a rotational grazing system to prevent runoff to a local trout stream. Seven Seeds Farm's Murray Grey cattle are humanely treated with plenty of pasture, a complete mineral program, Redmond Mineral Salt, kelp, and a fly rub that contains organic Crystal Creek NO Fly oil. Murray Grey cattle are known to dominate in taste test competitions due to the marbled finish they can achieve from a 100 % grass based diet. Our steers are finished on fresh green grass from July to September and are processed during this time frame only at Weber Meats in Cuba City, Wisconsin. We only sell meat that is raised on our farm from individual cuts to bulk (quarter, half or whole carcass). Customers are welcome to visit the Seven Seeds Farm Store Saturdays 9-1 and Wednesday 2-6! Farm Info: We strive to raise the healthiest, happiest animals we can providing lots of minerals and pasture. 100% grass-fed/finished beef and lamb. Our intensively grazed, British White Park cattle, and Tunis sheep were selected for their calm disposition, mothering traits, and their ability to excel in a pasture raised system. Processed without weird stuff (no MSG, nitrates, unpronounceable ingredients). Farm Info: You shouldn't have to choose between flavor and health. We provide healthy, high quality, grassfed beef and pasture-raised pork at a reasonable price in Central Wisconsin. Newgrass Farm beef is unlike any other grassfed beef coming through this meat plant. It is premium grassfed beef, probably the best grassfed steaks I have ever seen. Andy Geiss, owner of Geiss Meat Service Our dry-aged, grassfed Angus beef is available for sale in individual cuts, or in bulk, year round. Specific cuts or extra long dry aging are available by special order. All beef is dry-aged for 21 days, and Ribeye and NY Strip are aged 35 days. We sell at local farm markets, at local stores, and out of our home. We do not ship meat. Farm Info: Great River Ag offers the highest quality of Organic, Non-GMO and Conventional feed that is tailored to meet your individual needs. We handle bulk and bagged feed delivery, grain storage for future use, and Great River Ag also offers top of the line Animal Nutrition Consulting to bring out the best in your animals. Great River Ag recognizes no two customers are the same, and we offer services from a team of professionals that are trained and certified to make sure your individual needs and goals are met… with no exception. We produce only the highest performing feeds, proteins, minerals and other animal products that are made fresh when you order, and come with a 100% satisfaction guarantee. Our goal is simple… provide customers with a quality product and quality service. We are here to help you succeed with your long-term goals in mind. We like to think of your animals as our animals, and because of that we only offer high quality ingredients that are inspected and tested to meet your standards. Farm Info: Sarver Heritage Farm is a 3rd generation beef farm, established in 1951 on 250 acres of beautiful rolling hills in the Organ Cave area of WV. This is a ‘forever’ farm, under conservation easement via the Farmland Protection Program. Basically, we’re a couple of hermits who avoid bright lights, off in the highlands raising the best darn beef you’ll ever taste. If you’re looking for extremely lean grass fed beef, we can’t help you. Our Angus/Galloway herd produces beautifully marbled dry aged steaks from fully fat-covered carcasses. From a taster at the Artisan Beef Institute: “I’m in hamburger heaven”. From Craig “Meathead” Goldwyn: “…the Platonic ideal of the modern steak. Sooooo beautifully beefy and best of all, balanced.” Yes, it’s that good. Nutrition Testing information is on our website, (yes, we care enough to have had our own testing done); as is all the information folks try to convey or imply with buzzwords.